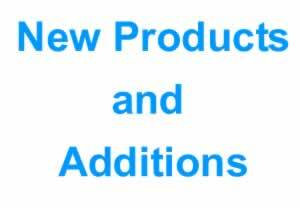 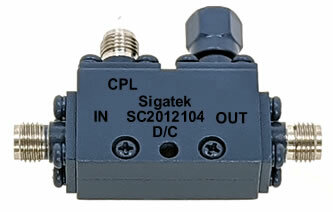 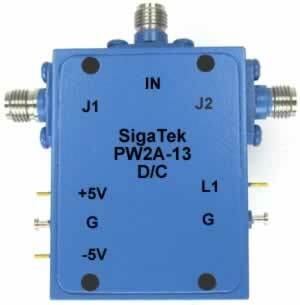 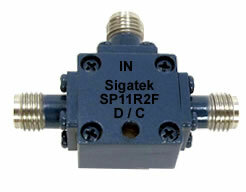 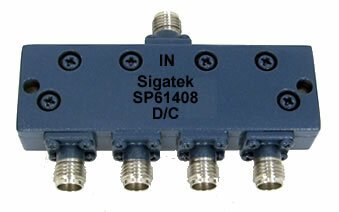 Sigatek Microwave, Power Dividers, Couplers, Bias Tees, Hybrids, Phase Shifters, Adapters, Terminations. 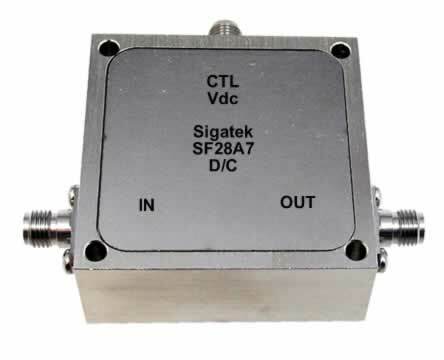 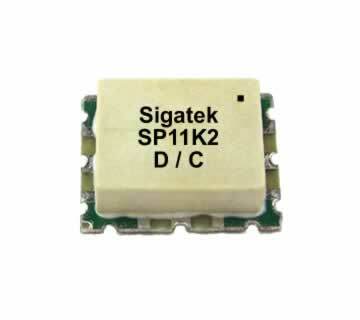 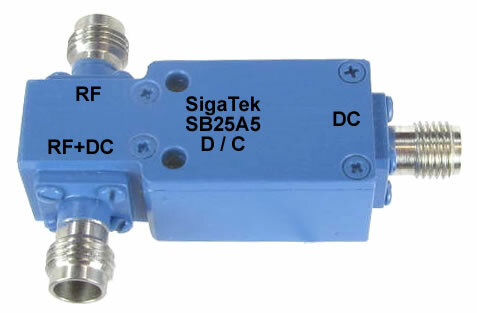 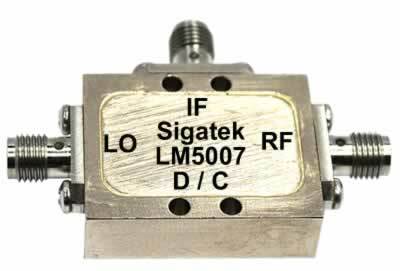 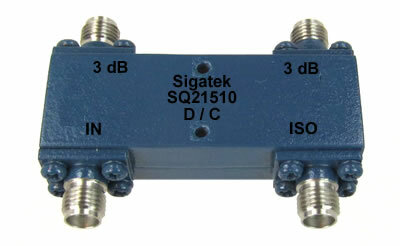 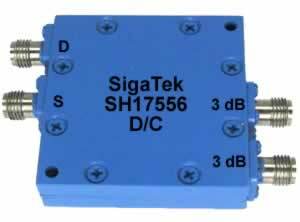 Broadband Microwave Components and Subsystems DC-85 Ghz..
SigaTek Microwave specializes in high quality, high frequency microwave communication components up to 85 GHz. 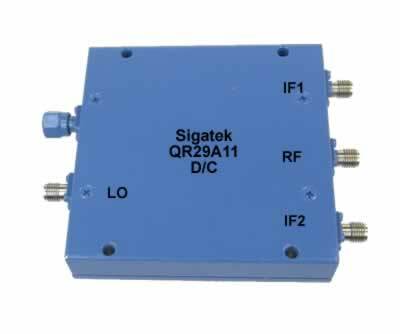 As a pioneer manufacturer and supplier of microwave RF components, the main products include directional couplers 6, 10, 20, 30dB, power dividers/combiners 2-way up to 32 way, resistive power dividers 2-way up to 20 Ghz, 3 dB hybrids 90° up to 26.5 Ghz, 3 dB hybrids 180° up to 40 Ghz, bias tees networks up to 85 Ghz, microwave mixers, frequency doublers, I Q networks: modulators demodulators, image reject mixers, analog phase shifters 180 and 360 degree coaxial and surface mount, load terminations SMA, 2.92mm, 2.4mm male and female, coaxial connectors SMA, 2.92mm, 2.4mm, 1.85mm male and female, coaxial adapters in series and in between series, flange mount and bulkhead SMA, 2.92mm, 2.4mm, 1.85mm. 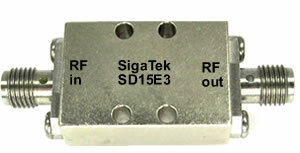 All microwave components IN STOCK are available for same day delivery. 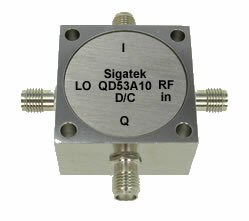 Although we have a broad selection of components, custom and optimized designs are available upon customer request.